Visit MilitaryByOwner at AUSA and House Hunt in Huntsville, Alabama! Once again, MilitaryByOwner Advertising is thrilled to participate in the Association of the United States Army's (AUSA) Global Force Symposium and Exposition. The event returns to Huntsville, Alabama March 15-17 and the three-day agenda includes panel discussions, speeches from notable Army leaders, and nearly 200 exhibition booths. MBO loves interacting with loyal customers and customers-to-be, so head over their booth for the chance to say hello, check out the swag, and register to win a GoPro camera! AUSA's symposium will be held at the Von Braun Center in Huntsville. 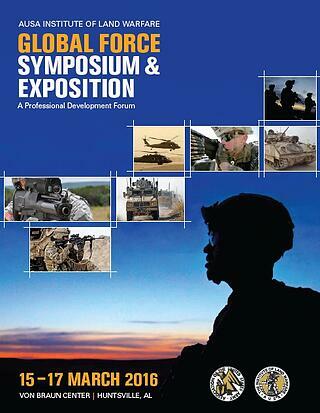 Visit AUSA's Global Force Symposium and Exposition page for more details and information. Huntsville is home to Army Materiel Command, Army Aviation and Missile Command, Army Security Assistance Command, Army Contracting Command, Army Aviation and Missile Research, Development and Engineering Command, and Army Space and Missile Defense Command, which means there are ample housing options listed on MilitaryByOwner! Friendly and welcoming porches are perfect for a little conversation and a cool drink during a warm spring day. Take a look at these homes whose porches evoke one of the best qualities of The South, hospitality. The sweet front porch of this home is a natural spot for hellos and goodbyes to children or guests coming and going, but it’s also worthy of an intimate chat with a neighbor to catch up on the street’s news. The back porch, however, has the openness and aesthetics ready for a photoshoot for a magazine. Just add your personal outdoor pieces and design sensibilities to find perfection. Inside, pleasing and neutral paint showcase wide crown molding and graceful arches in the living spaces. The architectural components in this home are an amenity unto themselves. With the addition of wood flooring throughout the majority of the home and today’s buyer demanded granite and stainless in the kitchen, this home is ideal for families who enjoy the art of casual entertaining. Charming curb is plentiful and it starts with the rockers and stately columns that make this front porch a scene from a southern biopic pic. In fact so picturesque, it’s very easy to envision the perfect setting for next year’s Christmas card-just add a magnolia leaf wreath to the front door. The four bedroom home is well tended and ideal for families concerned with allergies because laminate flooring is found throughout much of the house. Large rooms with an open concept layout and a screened in back porch conjure the feeling of wide open spaces. 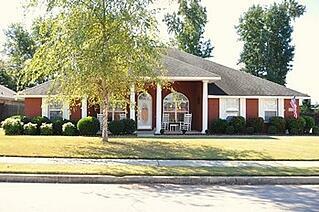 Which is perfect, because the spacious neighborhood boasts two lakes, walking trails, and a saltwater pool. 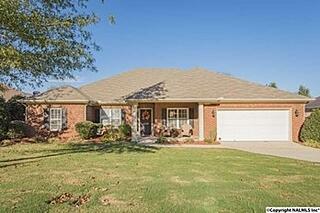 An expansive but intimate front porch welcomes family and friends to sit and stay awhile. It has the space for an intense game of checkers and a nook for reading the latest best-selling novel. But, nothing says southern living like an evening under the Alabama stars, which a well-placed hammock could provide. Inside, the trim, paint colors, and cabinetry give this home an updated cottage feel. The kitchen has been treated to new lighting, granite, and appliances. Although the kitchen is a looker, the master bedroom and bath are envy worthy. Recently renovated, the bedroom features a tray ceiling and large walk-in closet. The bath has a large tub and a perfectly private window to enjoy the natural light. The separate shower is expertly tiled throughout. This amenity-filled home is topped by having access to the neighborhood club house, fitness center, clay tennis courts, fishing lakes, pool and playground. Heading to AUSA and have time for house hunting? Browse MilitaryByOwner for available properties for sale and for rent. 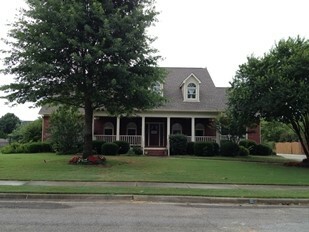 Search quickly; the PCS season is firing up fast and these pretty porches will be the first to go. Learn more about Huntsville, Alabama through the latest Military Town Advisor reviews--click below!